On July 10th and 11th, MARSAD held its 3rd encounter in Alexandria, Egypt from a series of encounters and meetings that are taking place in the Southern Mediterranean region as part of the implementation of the project. 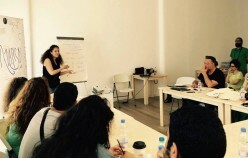 The meeting in Egypt, brought together cultural operators and professionals from different fields from Egypt to discuss the general state of culture in the region. 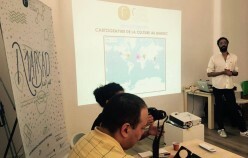 Presentations of Racines and El Madina Arts took place, followed by a debate about defining artistic and cultural work, then followed the presentation of a cultural cartography platform developed by Racines ‘ Art Map’, and a discussion about the Moroccan cultural practices. Finally, a presentation of MARSAD took place and a discussion about the possibilities and ways for Egyptian cultural professionals to participate and collaborate with the platform. 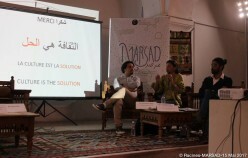 Before the encounter in Egypt, MARSAD had organised two other encounters, the first one was held in Tunis, Tunisia on May 15th 2017, it was attended by cultural professionals in Tunisia. 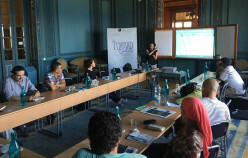 During the encounter, a diagnosis of the cultural policies in Tunisia took place by looking at existing experiences and initiatives ranging between the different artistic fields, the attendees then participated in three workshops with the following topics: Cultural diversity, Cultural mapping, and Cultural practices. 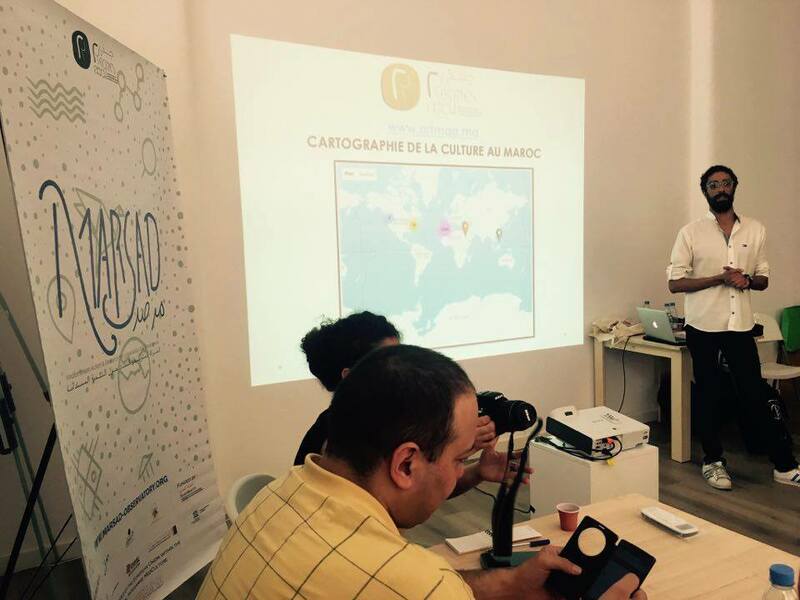 The second encounter was held in Beirut, Lebanon on June 9th and 10th 2017, the programme included a cultural mapping workshop, presentation of the Moroccan cultural scene and practices, and a presentation of Racines and MARSAD. 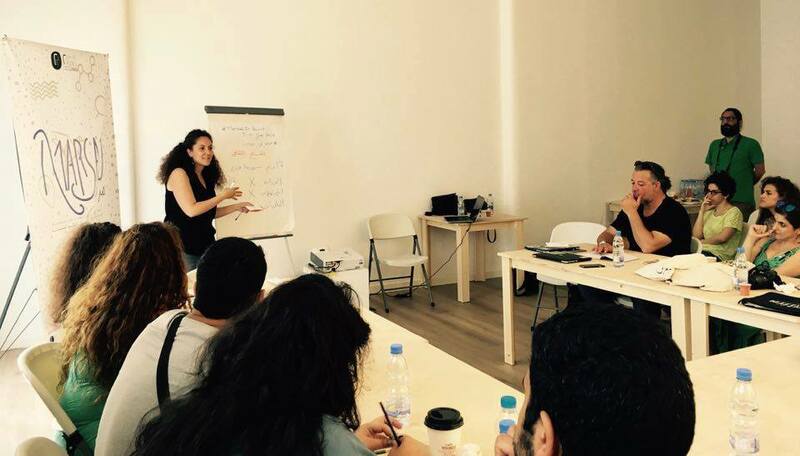 The participants were cultural professionals and activists in Lebanon who presented their initiatives and projects during the encounter. The exchange and dialogue taking place during these encounters provide Racines with a better knowledge about the state of culture in these countries, to establish the Observatory of Cultural Policies in the Southern Mediterranean, which is the ultimate long term goal of MARSAD. 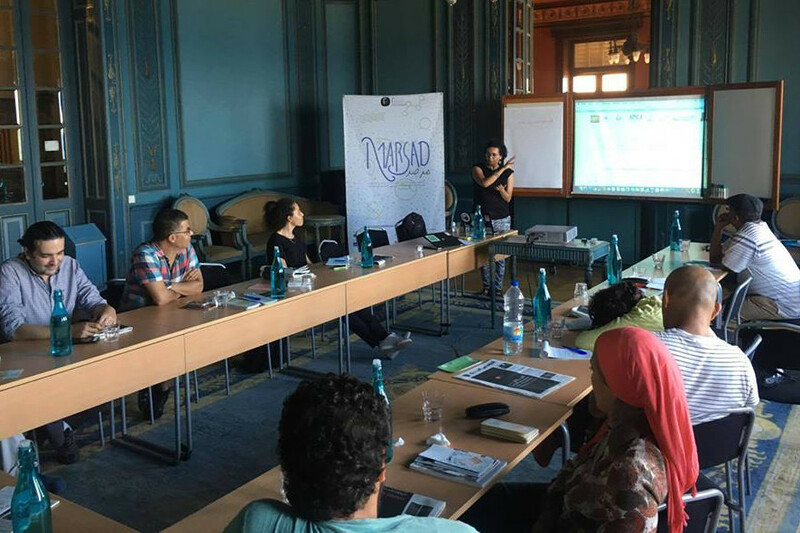 MARSAD is a project sub-granted by SouthMed CV, led by Racines Cultural association from Morocco in partnership with El Madina Arts from Egypt, Our Culture First from Tunisia and Me’zaf from Lebanon. The project is being implemented in Morocco, Tunisia, Egypt and Lebanon. The project aims to create a collective platform of research, monitoring and observation of cultural policies in the region, in order to ensure and advocate for its implementation vis a vis the institutions.